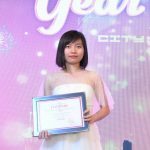 Ms. Khanh Ngoc made a great effort to reduce cost of Facebook while increase the effectiveness of AEON MALL Long Bien's fanpage. 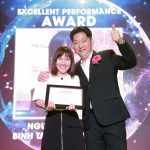 Congratulate Ms. Ngoc to achieve the Excellent Performance Award. 1. 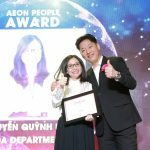 What is your favorite part about working for AEONMALL Vietnam? There are so many wonderful things about working at AEONMALL Vietnam. My most favorite part is probably the flexibility I have with my working hours. I also love the company’s culture and enjoy working with everyone who can bring useful experiences as valuable lessons. 2. What do you find the most challenging at AEONMALL Vietnam? For me, how to serve customers on daily basis with friendly – professional – strict manners at the same time in terms of event and communication, of course, it will not make customers feel bad about our services. 3. What was your biggest job or impressive work that you worked on until now? 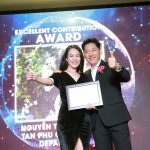 In 2017, after 7 months working at AEONMALL Vietnam in digital marketing field, I had a challenging chance as I had to run the Christmas campaign themed Fairy Tale of Candy Land. 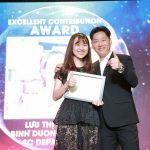 In 3 months from making up new ideas with agency to operating event at AEON MALL Long Bien, I gained lots of experiences regarding as problem-solving skills and decoration. Also, this challenge is known as my turning-point abilities at workplace, I wanted to continue learning day by day and have more chances to plan and operate events, instead of focusing only on digital field. Luckily, beside some small events, I also will be in-charge for one of the biggest events in 2018 – the Christmas campaign this year, this is also my promising task. Hopefully, AEON MALL Long Bien will be an indispensable destination for customers this December. 4. What have you gained from working at AEONMALL Vietnam? As part of my main task as a Digital Marketing officer, I completed various tasks ranging in social media area from how to work with agency and how to well corporate and bring good images of AEON MALL Long Bien to customers. Also, based on the events that I planned and implemented, problem-solving skills and flexible manners with customers and partners are the two main experiences I adapted into daily basis. 5. What is on your wish list for the next 3 years with AEONMALL Vietnam? I create my own individual development plan to foster my current and future growth as a higher practical experience of digital marketing field so that I either move further in position, or adapt in the fast-pace of modern life.